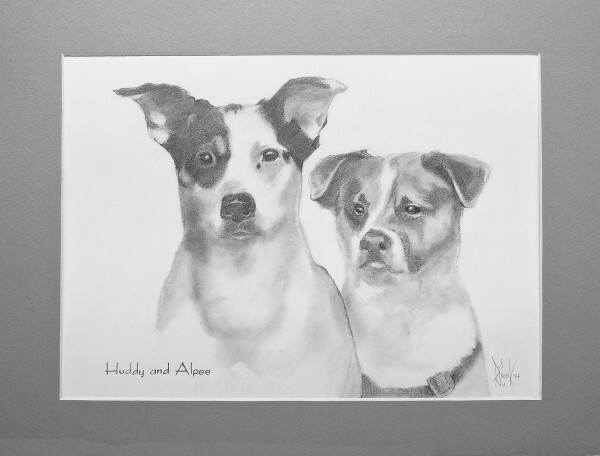 Charcoal drawings-People and Pets are done by commission. 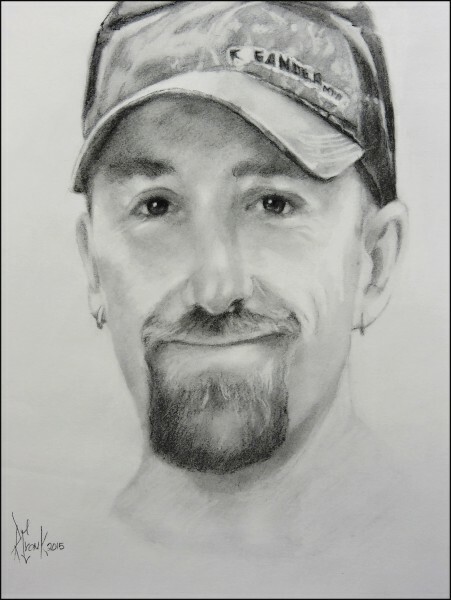 Please contact me for details if you would like to have a portrait. All we need is a couple of good pictures. Finished portraits are placed in a travel mat to get the drawing to you safely. We recommend portraits be properly matted and framed by a professional framing house. Image is approximately 9″ x 12″-contact me for pricing. Pet Acrylic or Oil Paintings are also completed by commission. 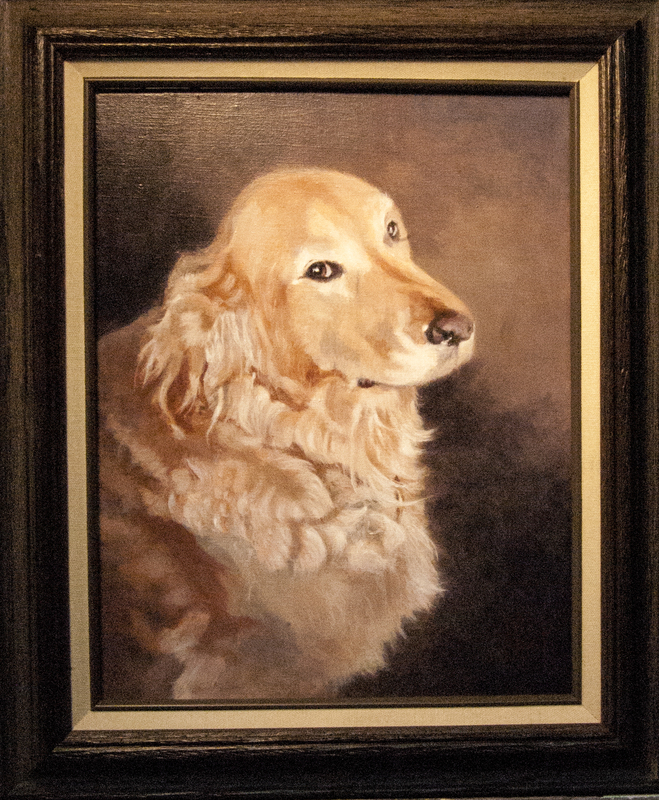 We can complete a painting of your pet, either on canvas or panel. Size, price, and framing are some of the items we’ll discuss with you. These usually take a month to complete. Completed for Patrick and Stephanie Holladay who live in Colorado Springs, Colorado.